The journey to Mars isn’t the only endeavor fraught with obstacles. Living on Mars presents a whole world of problems to deal with. Scientists may have discovered water on Mars, but before humans can inhabit the planet, we have to figure out how to live with extremely low pressure. Some Earthlings, it seems, are already ready to live with a thin Martian atmosphere, a new study in Origins of Life and Evolution of Biospheres suggests. 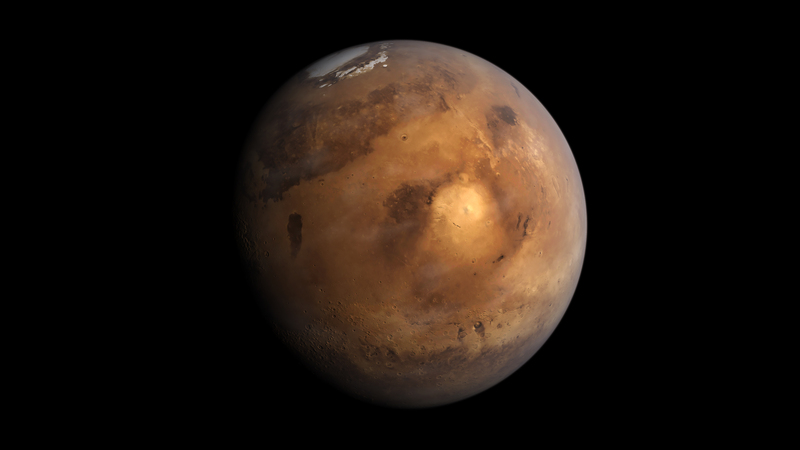 The pressure on the surface of Mars is a measly 0.6 percent the pressure on Earth at sea level. Methanogens are microorganisms that produce methane. They are some of the simplest forms of life on Earth, but they are also some of the oldest. They usually live in swamps and marshes, as well as inside cattle guts and decaying matter. They also consume hydrogen and carbon dioxide to produce methane. (SpaceX CEO Elon Musk has expressed plans for his company to produce methane on Mars for fuel). These microbes have survived many types of extreme environments — and they likely can survive on Mars, too. The pair studied four species of methanogens in low-pressure conditions below 143 mbar in an aqueous environment. In fact, these microbes could survive at pressures down to 6 mbar — conditions similar to the surface of Mars. These microbes do not require oxygen nor organic nutrients — which makes them even more fit for living on Mars. The new results open up a valuable research pathway for investigating whether methanogens are equipped to grow or metabolize under low-pressure conditions on Mars. Mickol has previously found that two species of methanogens are capable of surviving Martian freeze-thaw cycles — which only serves to raise the intrigue. These methanogens aren’t the only ones that can survive on Mars. Cyanobacteria, fungi, and olms (a cave-dwelling aquatic salamander) would also likely survive on the red planet. Regardless, it’s quite clear that the future of human colonization of the Red Planet depends on being able to use lifeforms from Earth to make certain processes possible. Methanogens may have possessed the innate traits needed to survive Mars. The only thing humans have to do is tweak them a bit so they could become valuable assets to making day-to-day life on the Red Planet easier.